Look what the postman brought today: It’s the German edition of Lisa Van Allen‘s The Wishing Thread. 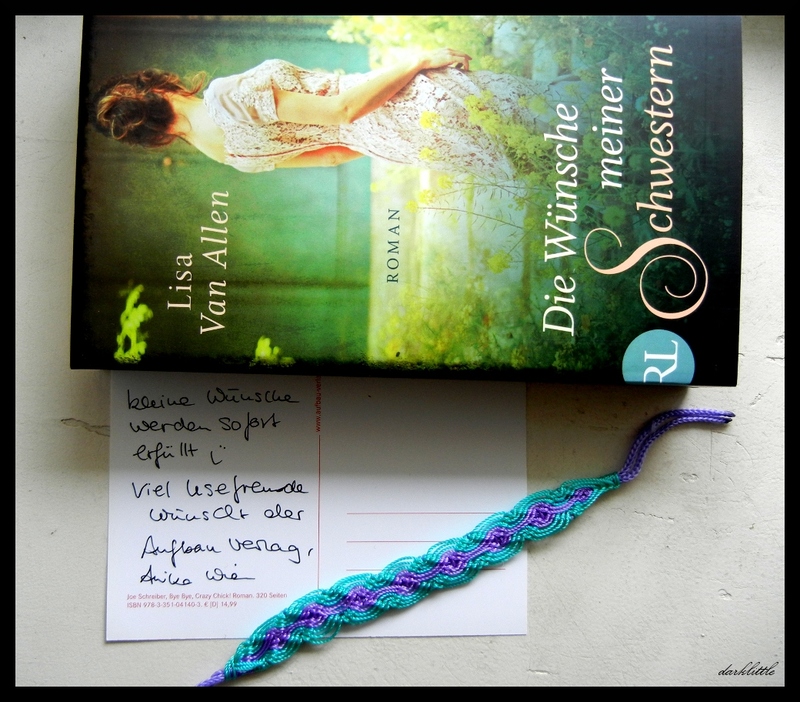 It’s next on my TBR pile and the lovely people at Aufbau Verlag even added this bracelet which matches the topic of the book. Thank you so much ❤ I love the colors! More on the German edition can be found here. The Van Ripper women have been the talk of Tarrytown, New York, for centuries. Some say they’re angels; some say they’re crooks. In their tumbledown “Stitchery,” not far from the stomping grounds of the legendary Headless Horseman, the Van Ripper sisters—Aubrey, Bitty, and Meggie—are said to knit people’s most ardent wishes into beautiful scarves and mittens, granting them health, success, or even a blossoming romance. But for the magic to work, sacrifices must be made—and no one knows that better than the Van Rippers. When the Stitchery matriarch, Mariah, dies, she leaves the yarn shop to her three nieces. Aubrey, shy and reliable, has dedicated her life to weaving spells for the community, though her sisters have long stayed away. Bitty, pragmatic and persistent, has always been skeptical of magic and wants her children to have a normal, nonmagical life. Meggie, restless and free-spirited, follows her own set of rules. Now, after Mariah’s death forces a reunion, the sisters must reassess the state of their lives even as they decide the fate of the Stitchery. But their relationships with one another—and their beliefs in magic—are put to the test. Will the threads hold?